On August 22nd and 23rd, the Jeff Davis high school tennis coach, Mary Katherine Kemp, hosted a community tennis tournament to benefit the middle/high school teams and SOAPS. 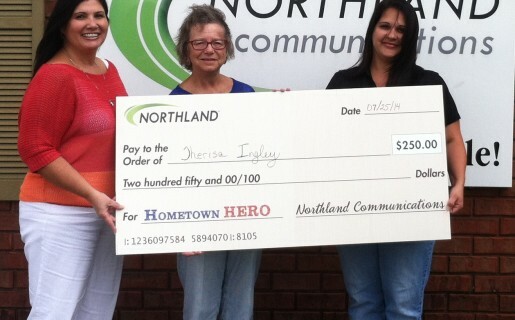 Therisa Ingley is the winner of the recent Hometown Hero contest sponsored by Northland Communication, according to an announcement made last week. Thanks to Chicken of the Sea and US PET!! 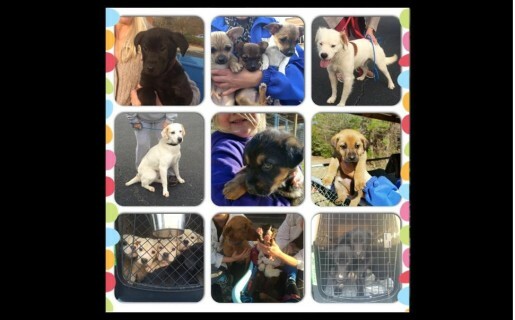 Our 4th Annual “Spay-ghetti” Dinner was a tremendous success! With our major sponsors, Chicken of the Sea and US Pet this was SOAPS largest single fund raiser ever! Tremendous thanks to Marcia Cherry, Terry Yates, Denese Parson and Jill Smith for the overall organization of this event and a great big thanks to all our Celebrity Servers, school bands and chorus, cake sale contributors, Steeplechase, and other volunteers for raising spay/neuter funds and awareness! Thanks to RTCA for Food Drive! 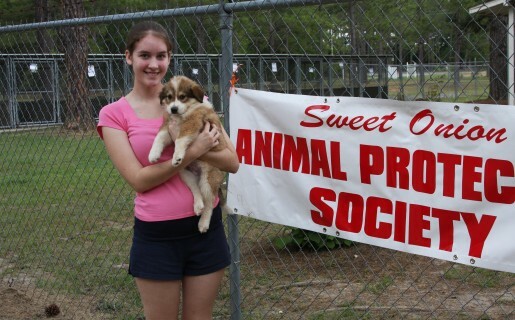 The Sweet Onion Animal Protection Society (SOAPS) is a 501 (c)(3) not-for-profit organization whose goal is to promote animal welfare through education, care, and placement of stray or unwanted animals. 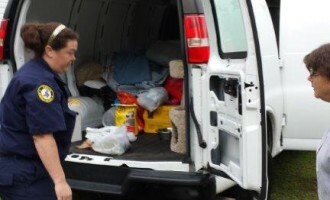 Additionally, SOAPS advocates sterilization as a means of pet population control, offers community awareness of pet health and safety issues, and strives to encourage humane care of all animals in the Toombs County area. 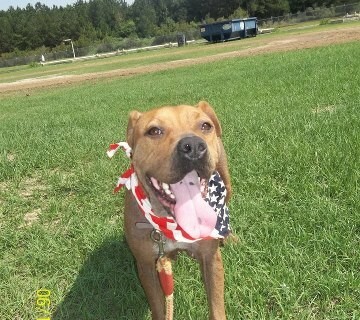 He was a rescue mutt with a “pure” pedigree heart. 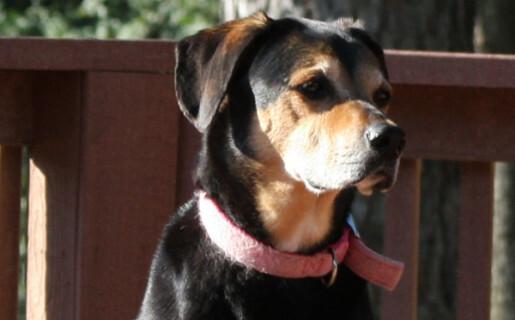 16 years ago as a scared, abandoned puppy, Blackjack entered our household and quickly became KING. Last fall he developed several life threatening ailments so bad we had prepared our whole family that he was close to death. With the wonderful care from our local vet he regained his health. 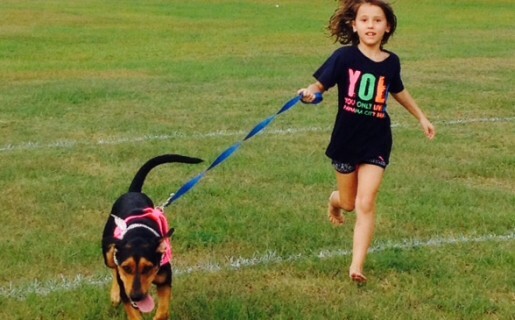 SOAPS sponsors several adoption days a year at both the Vidalia and Hazlehurst Animal Control facilities. In addition, the SOAPS foster program holds many “Foster Showcase Events” at various retail stores in Vidalia and Hazlehurst. 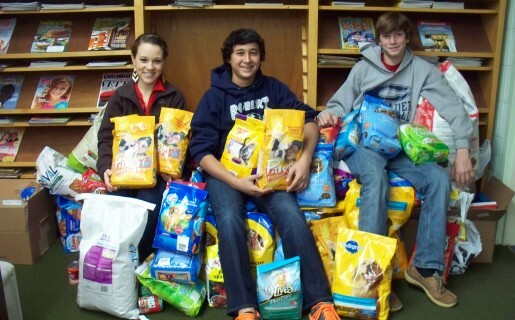 SOAPS is currently an active Shelter Partner with both PetSmart in Savannah and Petco in Statesboro. 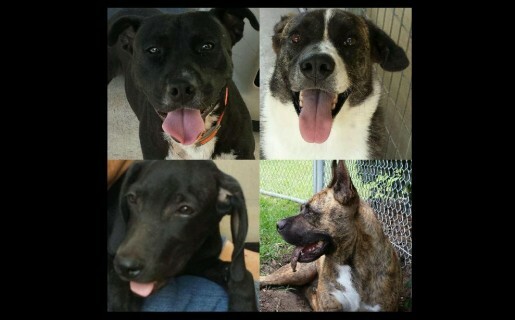 Please check our calendar for the next opportunity to find your new “furever friend”. This documentary was created to educate the public about the overpopulation issues in the South, while highlighting the wonderful work of organizations like SOAPS and Badass Brooklyn Animal Rescue.